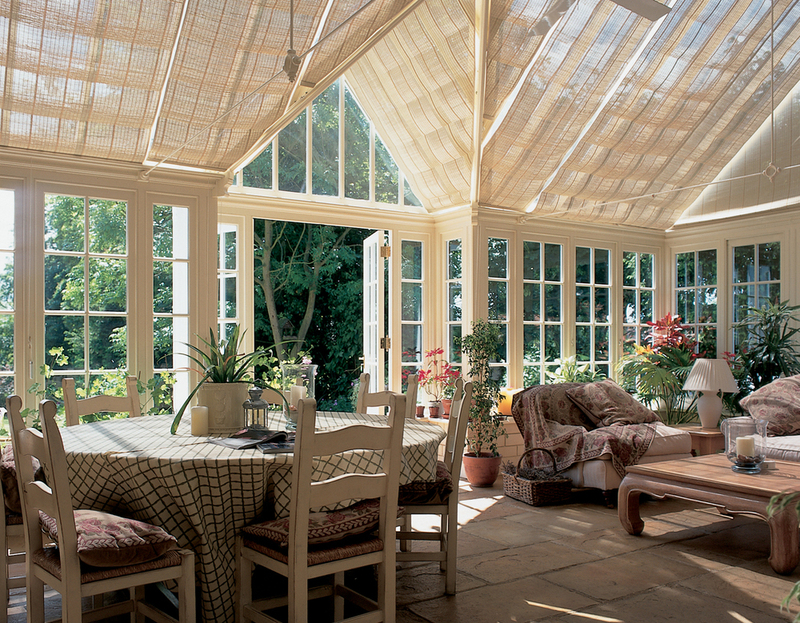 Original French Pinoleum shades transform sun glare into soft, dappled light effectively controlling the temperature of the conservatory. Pinoleum shades are available in 16 standard colors, and can also be made to match any color of your choice. 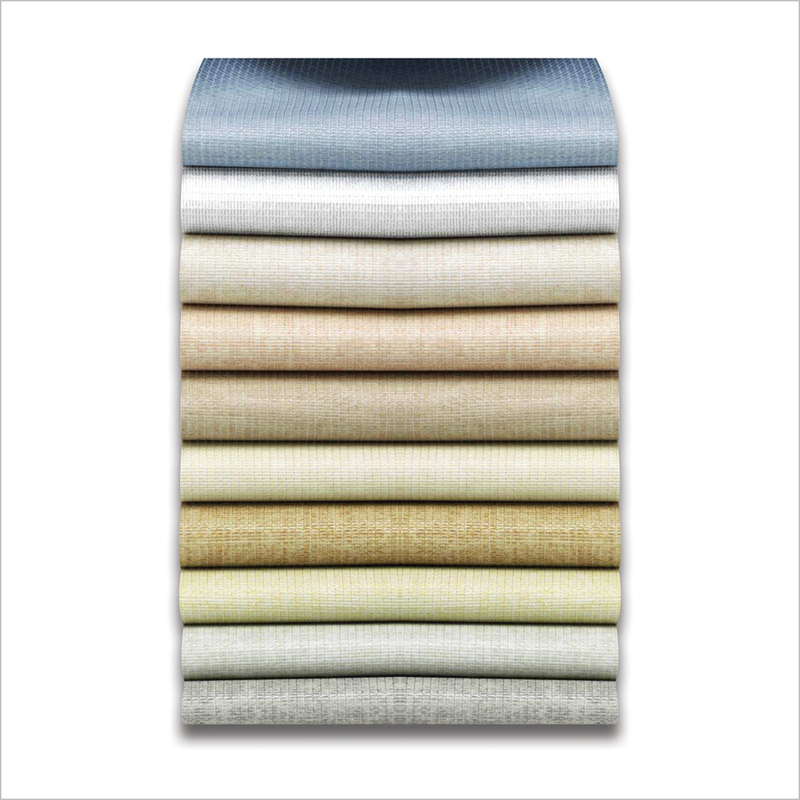 Solar R is a high-performance fabric with an aluminum backing for superb climate control. 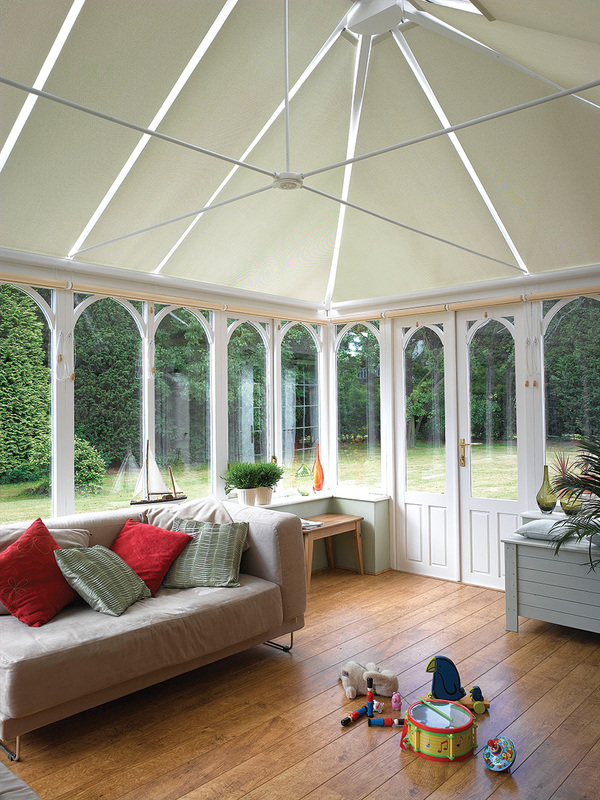 Solar R reflects 85% of the sun’s heat energy, keeping your Conservatory cool in the summer, and they provide insulation in the winter. Solar R shades are available in 11 colors and when not in use retract neatly into a cassette box.